The driver is “tucking In” the passengers as a Red Bus gets ready to leave East Glacier for Going-To-The-Sun Road. 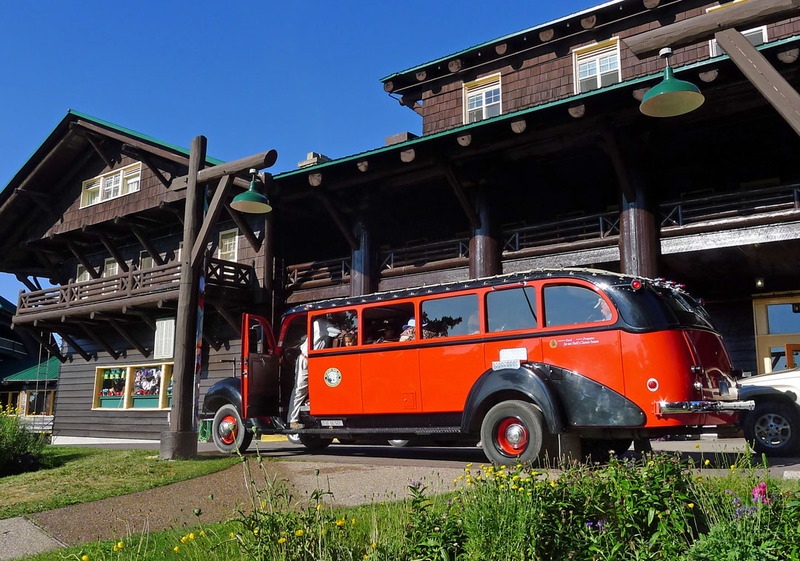 This Red Bus will drive from the East Glacier Hotel around the South end of Glacier Park to Whitefish and the West Entrance because the tour up the Going-To-The-Sun road starts at Lake McDonald. Local legend, and a 1933 press release issued by the Department of the Interior, told the story of the deity, Sour Spirit, who came down from the sun to teach Blackfeet braves the rudiments of the hunt. On his way back to the sun, Sour Spirit had his image reproduced on the top of the mountain for inspiration to the Blackfeet. Lake McDonald lies just inside the West Entrance. Lake McDonald, looking East toward Logan Pass. And then the road starts to climb, seriously. Looking West from the road toward Heavens Peak (8987 ft.). Glaciers. 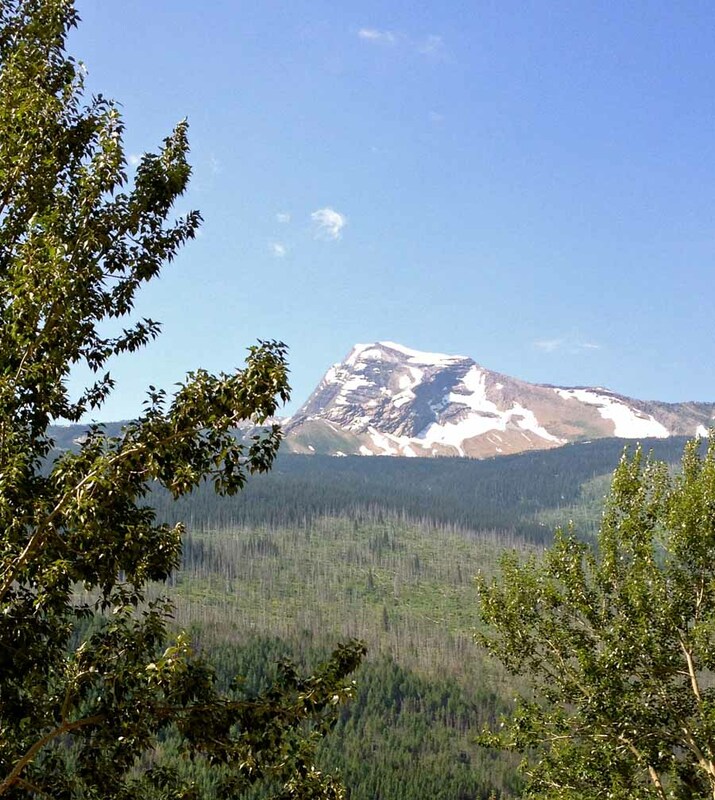 Higher still, a glacier is on the highest peak and McDonald Creek is in the canyon. Seen from the road, Birdwoman Falls drops 492 feet from a hanging valley. 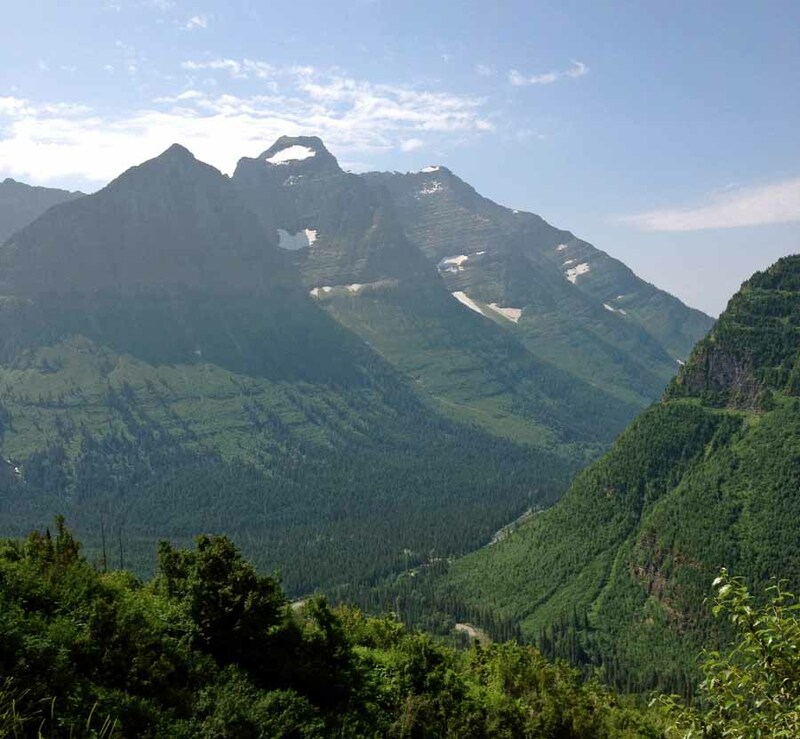 The NPS says that the glaciers of Glacier Park will be gone (melted away) by 2030. 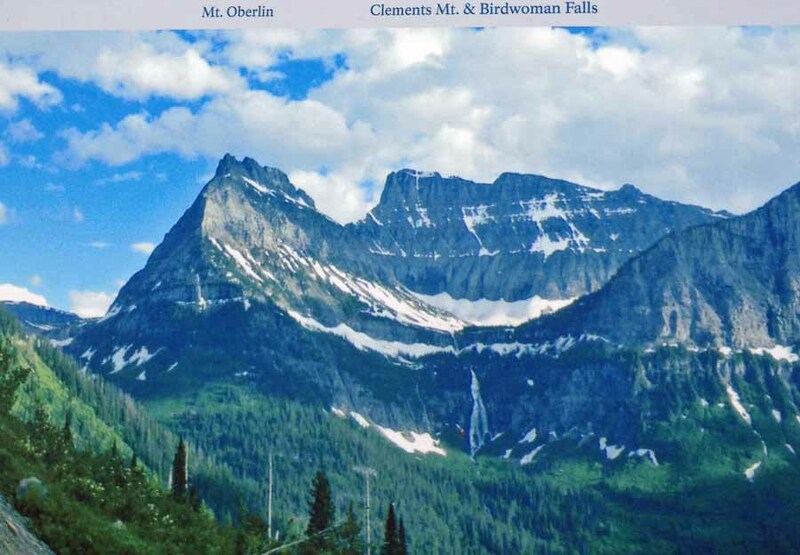 From a roadside guide: the glaciers used to look like this, before “warming”. 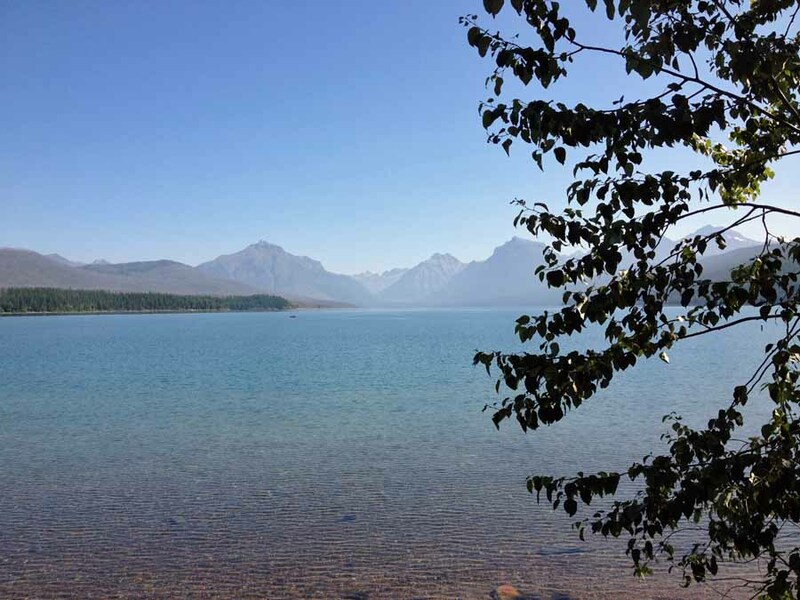 The Blackfeet called the land here the “Backbone of the World”. It’s hard to improve on that. 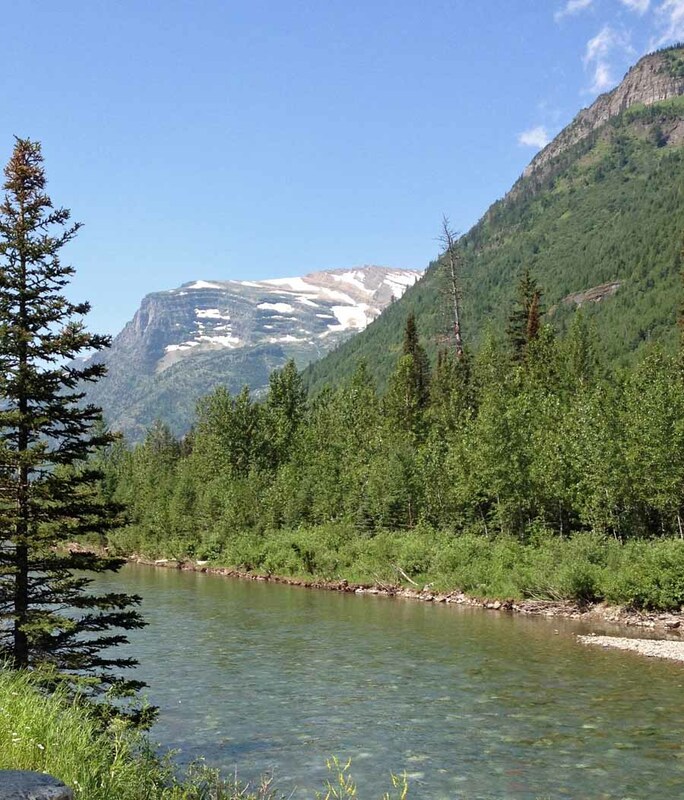 This entry was posted in Montana, Travel Blog and tagged Glacier Park, going to the sun road, heavens peak, iPhone, lake mcdonald, logan pass, Montana, Travel, Vacation by carto. Bookmark the permalink.